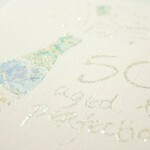 50th Birthday card full of fun. 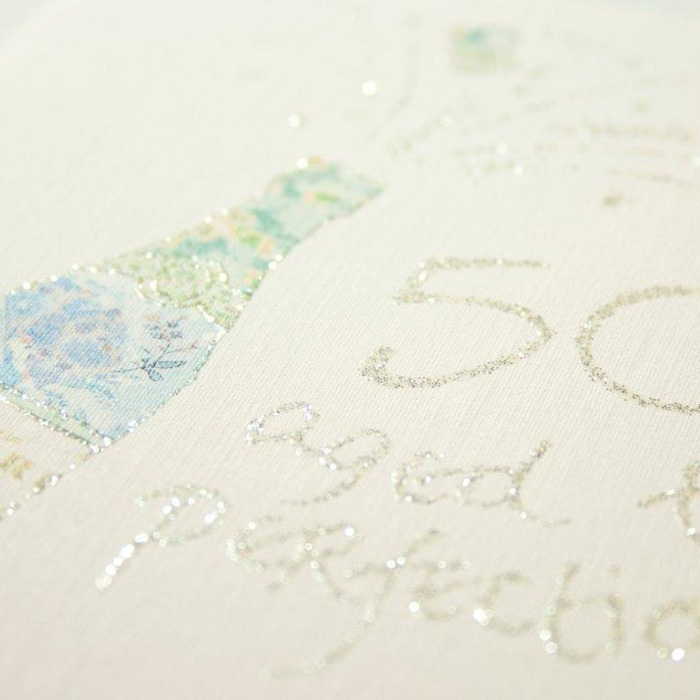 Glitter bursts out of the champagne bottle and brings the whole card to life. 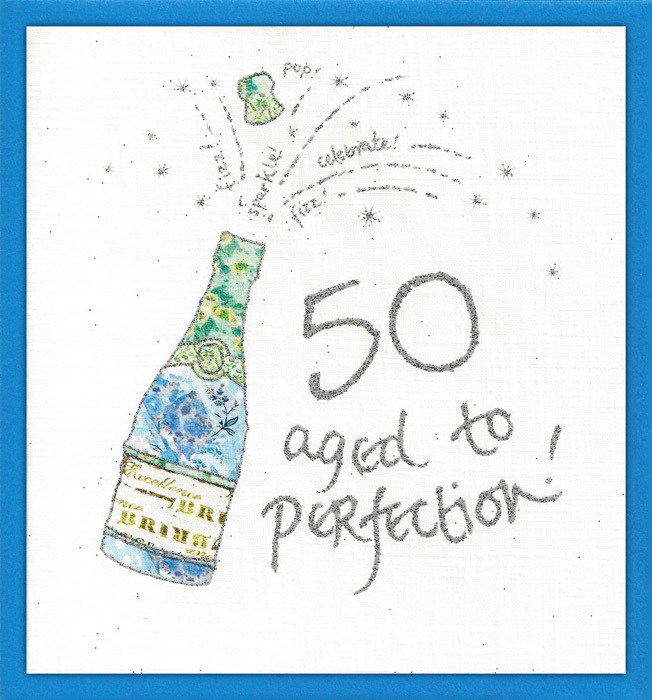 An ideal card for a celebration.